The Constitution is the supreme law of Guyana, it clearly outlines the branches of powers of the Government, and most importantly it defines time for elections. Whenever elections are being defined by the Constitution, it becomes unconstitutional for anyone including the President not to adhere to the Constitutional law. In a democracy, the legislature law enacts, the Judiciary laws interprets, and the ultimate power of enforcement of laws lies in the hands of the executives, so the arbitrary use of power by the executive may be tantamount to challenging the concept of the rule of law. President David Granger, on the assumption of office, swore that he “will honour, uphold and preserve the Constitution of the Cooperative Republic of Guyana”. President David Granger in the capacity as the leader of the APNU/AFC coalition Government must answer to the people why the constitution of Guyana is not honoured upheld and preserved? 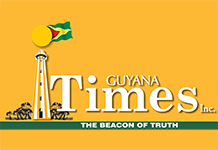 The President has managed Guyana in a manner that has seen a rapid erosion of democratic and good governance standards that are enshrined in the Constitution and the rights, liberties and democratic interests of citizens are trampled upon using methods that are reminiscent of a full blown dictatorship. A democratic president does not have the option to ignore, defy or subvert the constitutional laws of this country. In the NCM scenario the President David Granger has two constitutional options that should be a priority to ensure that his sworn allegiance to the people of Guyana is being preserved. First, after the successful passage of the No-confidence motion he should have resigned and remained in office in compliance with the constitution. Secondly, he should have sought alternative clarification and confirmation of the Constitution by the judicial courts to regain control of his executive power if the possibility exists. It must be noted that the Constitution states that the constitutional court makes the final decisions constitutionally and must confirm any order of invalidity by the supreme court of appeal before the president can regain his executive power. Independence of the judiciary is mandatory; that is the principle in that the judiciary should be politically insulated from the legislative and the executive power. The courts should not be subject to improper influence from the other branches of Government, or from private or partisan interests, to act freely and impartially. The President, David Granger, has a perfect opportunity to show the world that he respects the Constitution and is not above the law.